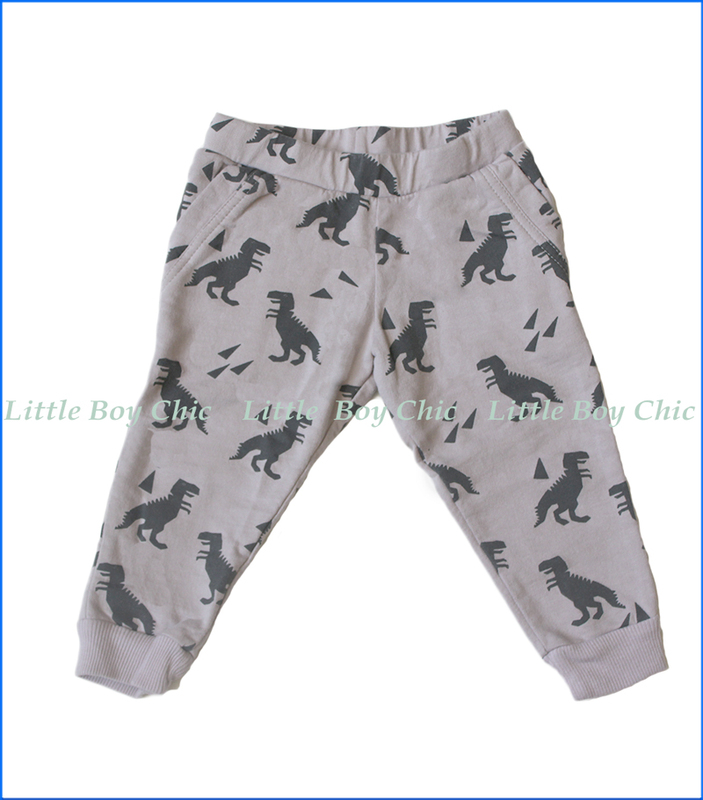 These stylish pants by Wyldson have an allover dino print that's sure to be a roaring hit with the toddler set. Elastic waist with front pockets. Elastic ribbed cuffs. We chose Wyldson to join our family of LittleBoyChic brands this Autumn Season due to their special hues and original prints for infants and toddlers. The garments are inspired by real life adventures, designed in California and made with love in Bali. Wyldson uses eco-friendly fabrics that keeping your little ones cool and comfortable.